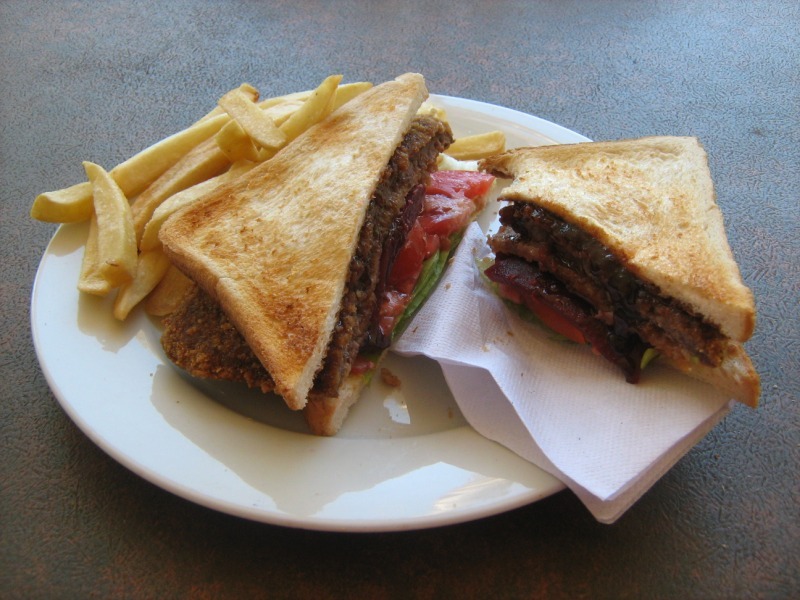 Anyway – it’s a pub. 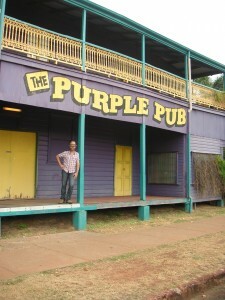 It’s painted purple. Annnnnd that’s about it. Nothing really to write home about – it has a quaint dining room, outdoor beer garden out the back and a veranda that you can have a beer on. 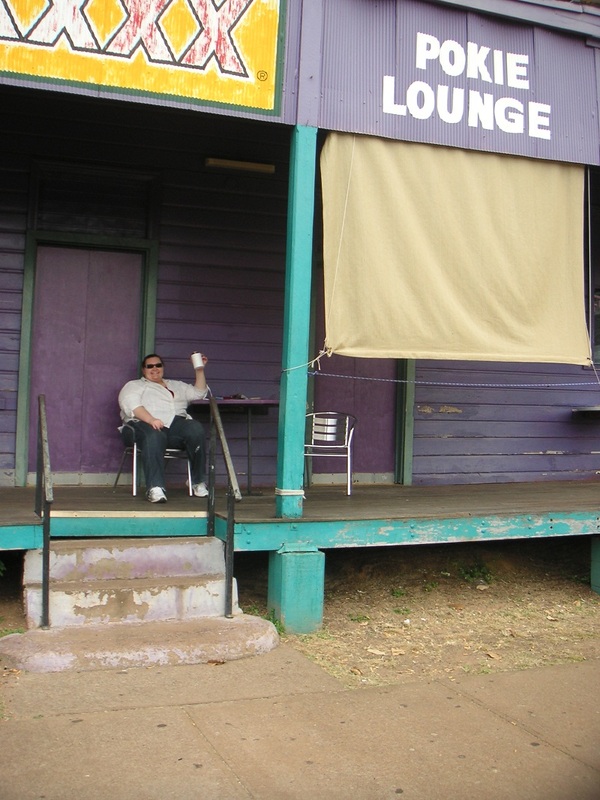 In true outback QLD style, the railings are shot, the floor is wonky, the tables are wobbly… and I still think it’s an aussie icon worth a beer. Or two. 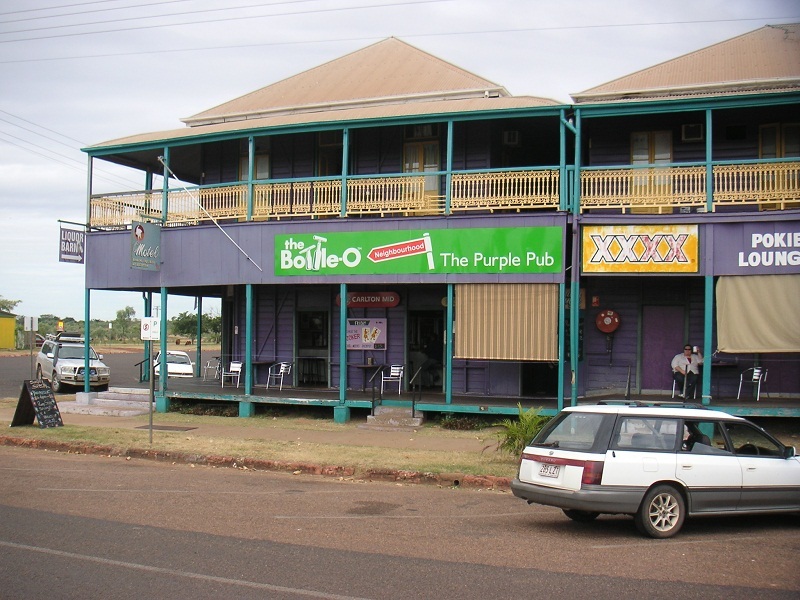 This entry was posted on 18 May, 2010, 5:33 pm and is filed under Pubs, Queensland. You can follow any responses to this entry through RSS 2.0. You can skip to the end and leave a response. Pinging is currently not allowed. 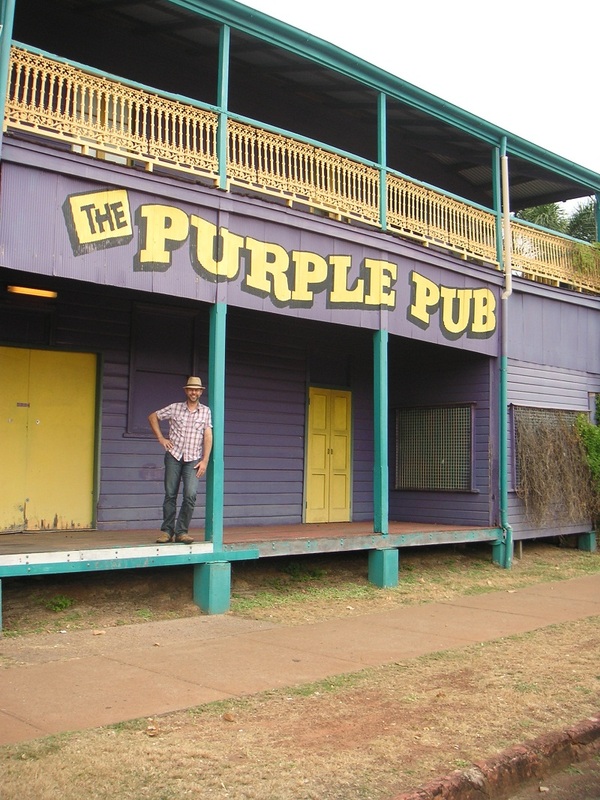 hello blogger, i was reading your posts on The Purple Pub (Normanton, QLD) A Beer In Every Pub and i definitely liked them. 1 thing that i noticed while browsing throughout your blog that some of the links aren’t working and giving error. this makes the reading experience a little bit bad. you’ve a good blog and i will request you to update the hyperlinks so that fascinated people can get all of the details they intend to have. By the way are you on twitter?? i would definitely like to follow you and get revisions in your blog. We have just done some upgrades on the site – any idea where the broken links are ?